It was a gorgeous and sunny July day when we began our hike to the top of Mt. Eddy. In the past, we started long walks in the early afternoon, and we never felt like we had enough time on the trail. On this hike, we learned from past blunders. 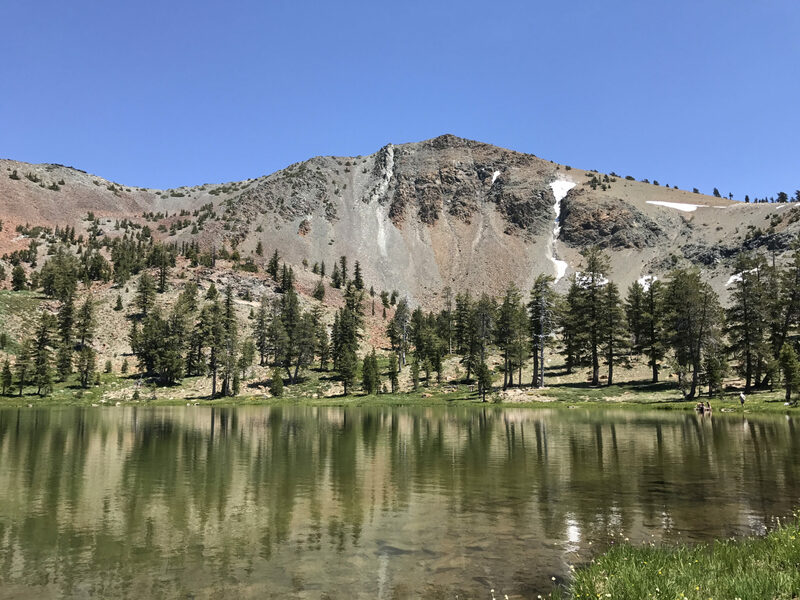 We climbed out of bed early, made a big breakfast at home, loaded our backpacks with lunch, snacks, and plenty of water, and then drove to the Parks Creek Trailhead. We began our hike to Mt. Eddy at 8.30 am, and that was a small victory for us! We had the whole day to be outside, and that gave us plenty of time to savor the views and take lots of photographs. Three hours after we started the hike, we reached the top of Mt. Eddy. We ate a leisurely lunch, drank water, and took photos of the views. The weather was perfect, and we didn’t want to leave the mountain top, but it was time to start walking again. My legs were tired but the hike back was faster downhill; it only took two hours. Along the way, I gawked at the views and dreamed about eating a tasty dinner. Before driving home, we had a small snack, and I looked at my walking statistics. According to my Fitbit, we walked 14 miles, 30,000 steps, and gained 2,500 feet in elevation. No wonder I was so hungry! We ended the day with a home-cooked meal that included steaks from the Miner Street Meat Market in Yreka, CA, potatoes, vegetables, and a glass of cabernet sauvignon from local Shasta View Vineyards. It was the perfect way to end an adventure filled day! Hiking Tips: Before you hit the trail, prepare for the hike. Get driving directions, a trail map, and pack food, water, and extra layers of clothes. The Mt. 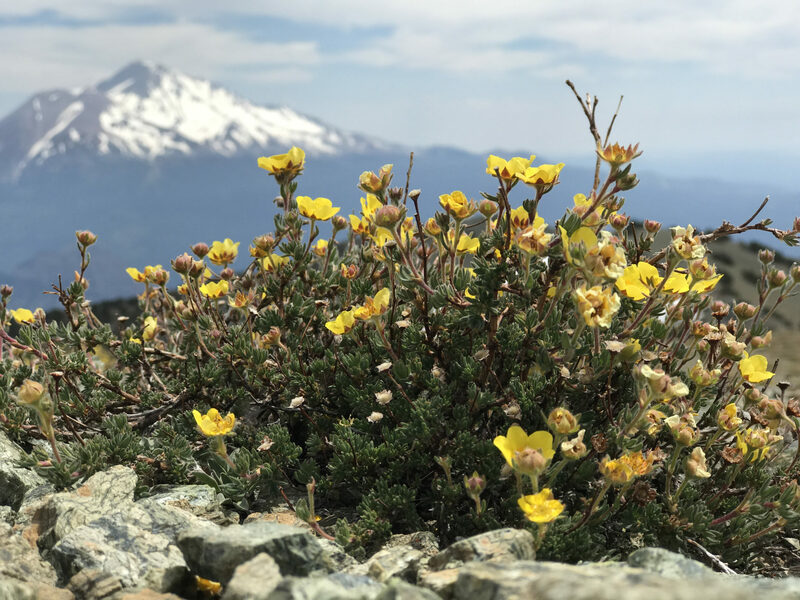 Shasta Trails Association has an excellent summary of the hike to Mt. Eddy. You can find directions to the trailhead and detailed trail notes here. 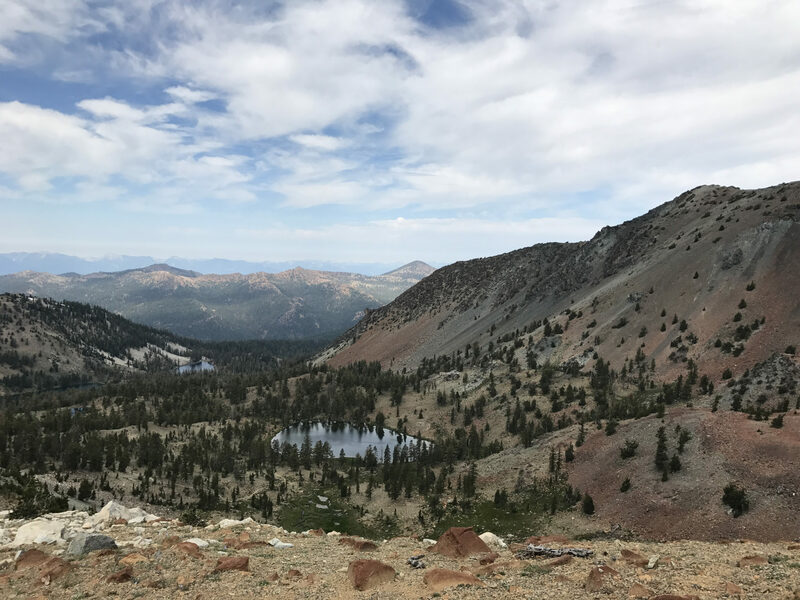 Also, the Pacific Crest Trail Association shared a helped article about recreation and snow information. It’s important to be aware of how the snow impacts hiking season; especially if you hit the trail early. Read the piece here. Accommodations: Stewart Mineral Springs Resort is a great lodging option. They have cabins, apartments, standard rooms, and if you’re with a large group they have an A-frame Chalet that has five bedrooms! Good Eats: After walking all the miles, you’ll be hungry, and there are plenty of great dining options in Siskiyou! The Mt. Shasta Brewing Co. near the College of the Siskiyou campus in Weed, CA is near the resort, and it’s a great choice. Mt. Shasta is just beyond Weed, and where you’ll find places like Lily’s and Bistro 107. Explore more dining options here.